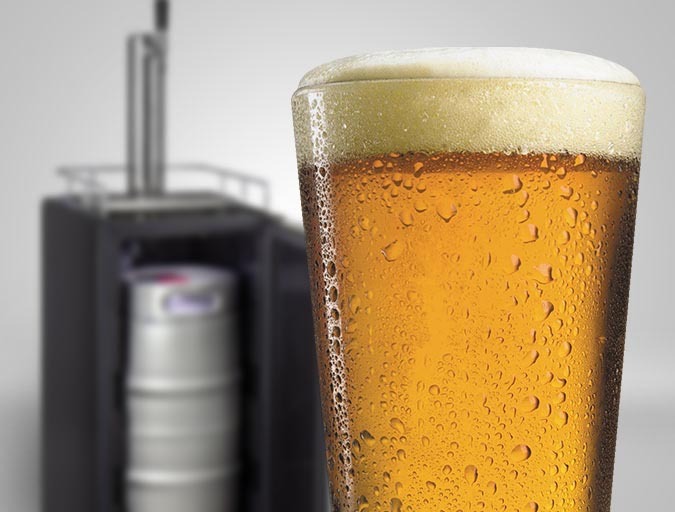 Professional breweries and enthusiastic home brewers alike are sure to love storing and dispensing their signature beers using Kegco's stylish new HBK15BSR Homebrew Kegerator. 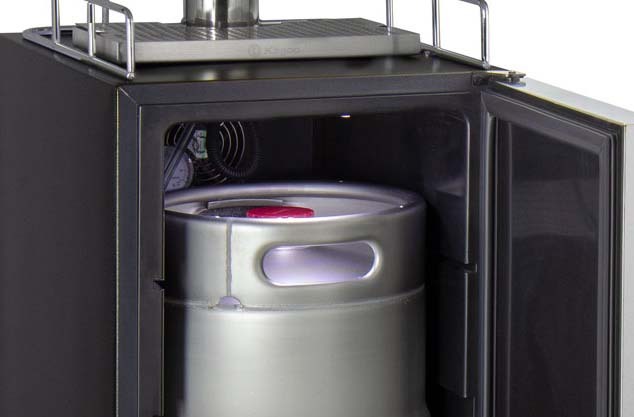 Boasting a slim 15" width that has been designed to fit in tight bar and kitchen environments, this commercially-rated keg dispenser is ETL/ETL Sanitation Listed and NSF Compliant, so it can withstand rigorous use in both commercial and residential applications. 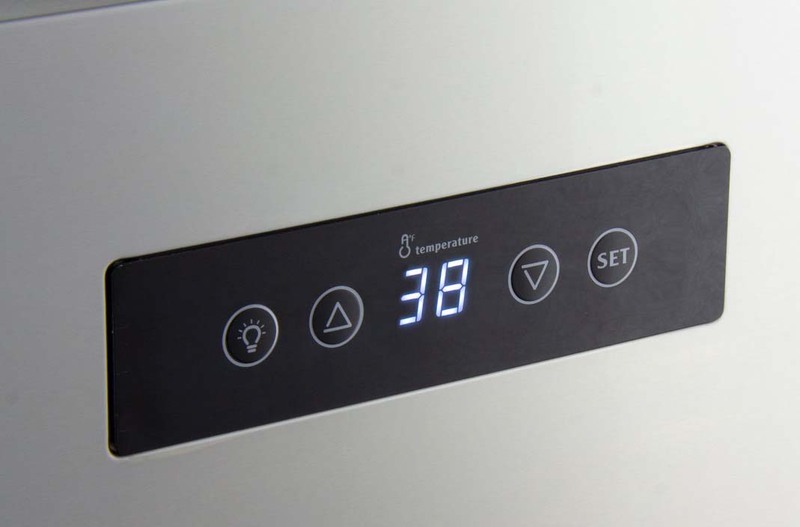 Control the low-heat interior light via the digital control panel on the door and check on the contents of your storage cabinet whenever you need to make beverage line or pressure adjustments. Enjoy precise cabinet temperature control between 32 and 65 degrees Fahrenheit using the push button digital panel on the unit door. The vast temperature range allows you to make adjustments for serving, storing, or fermenting like a beverage industry professional. 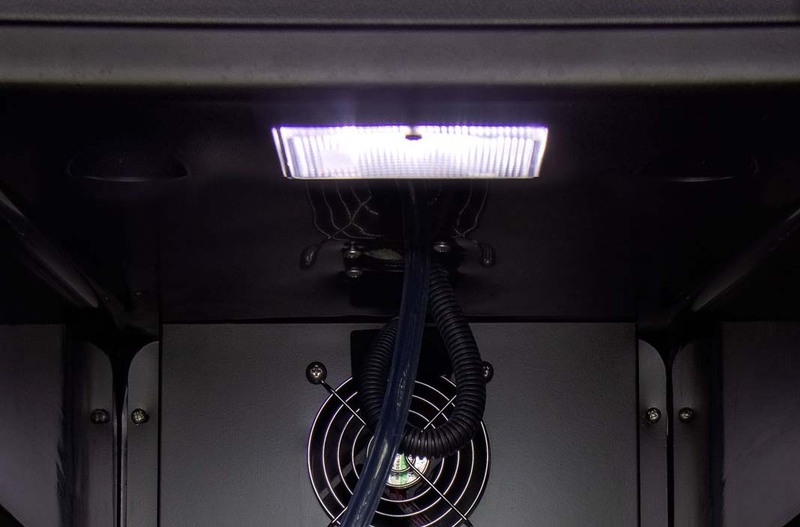 Depending on the type of beer you plan to serve, the HBK15BSR has a 3.1 cu. ft. cabinet capacity for storing a 7.75 gallon quarter keg, a 5 gallon Sankey, or 5 gallon Pepsi ball lock keg. This kit features upgraded components at no extra cost, including a 3" diameter polished stainless steel draft tower with chrome faucet (a $90 value), a commercial grade double gauge regulator (a $55 value), and an empty 5 lb. 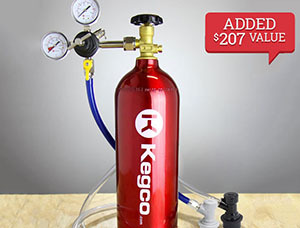 CO2 tank with Electric Red epoxy finish (a $62 value) for a total savings of $207. The Kegco HBK15BSR has a temperature range that can be varied between 32 and 65 degrees Fahrenheit. That means home brewers have the chance to use the unit as a beer dispenser or a chamber for homebrew fermentation.